Goodbye, CNN and Fox News. Au revoir, Breitbart and Pod Save America. If you’re trying to wrench meaning from this volatile, angry age, or just hoping to make sense of it all, look no further than our literary writers. Fiction with a political tinge has surged this year, from George Saunders’ groundbreaking allegory, Lincoln in the Bardo, to Ali Smith’s brilliant post-Brexit love story, Autumn. Meanwhile, a fresh wave of South Asian novels has broken on American shores: Mohsin Hamid’s poetic, fantastical Exit West; Nadeem Aslam’s beautiful and underrated The Golden Legend; and Arundhati Roy’s messy masterpiece, The Ministry of Utmost Happiness—books that grapple with the intractable tensions between the personal and political, between east and west, among religious conflicts that seem to rage on forever. 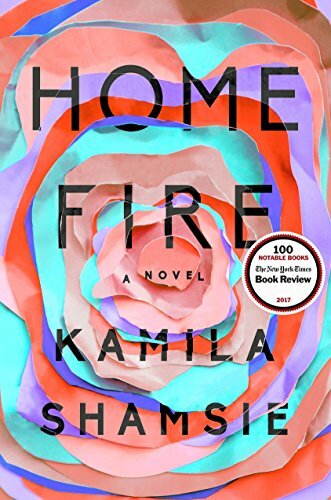 Kamila Shamsie’s new novel, Home Fire, long-listed for this year’s Man Booker prize, cleverly bridges the chasm between east and west by retelling the Greek myth of Antigone, part of the foundation of the Western canon, through the tragedy of three Pakistani-British siblings: the twins, Aneeka and Parvaiz Pasha, and their older sister, Isma. Orphaned early, the Pashas have all compromised to get along. Isma has set aside an academic career to raise her sister and brother; Aneeka embraces a feisty feminism while wearing the hijab; Parvaiz drifts about London aimlessly, mourning the jihadist father who perished in captivity en route to Guantánamo. As the novel opens, Isma has been plucked from the queue at Heathrow before boarding a flight to Boston, forced to undergo a rigorous screening as a Muslim woman. Her humiliations, large and small, cause her to miss her plane (although she’s cleared for another flight the following day). Shamsie’s evocation of the Islamophobia faced by even British citizens is chilling. After Isma arrives in Northampton, Massachusetts, she texts and emails Aneeka, seeking word of Parvaiz, who has vanished into the shadows of Muslim extremism. By chance Isma meets Eamonn at a café; she recognizes him as the son of an Irish-American woman and a Pakistani-Brit, a former MP who has just ascended to the office of Home Secretary, largely because of his controversial reputation as a hardliner on Islamic violence and a fierce defender of Western values. Over the next weeks Isma finds herself increasingly attracted to the handsome Eamonn, confiding details about her family. Summoned back to London, Eamonn tracks down Aneeka, whose fire and ice captivate him. She, rather than Isma, is his destiny. Their torrid affair—rendered a tad sentimentally, the novel’s only flaw—dovetails with Aneeka’s deeper passion: to retrieve her twin brother from the forces that hold him in an iron grip. Parvaiz’s story reveals a confused young man torn between his own morals and the romance of his dead father as a kind of Islamic Che Guevara. As sinister secrets come to light, Shamsie deftly shifts from character to character, concluding with Karamat, the Home Secretary, the most fascinating member of her cast. The novel’s drama builds to a gut-wrenching crescendo, as Aneeka faces the lethal consequences of her quest, Karamat the destruction he’s brought on those he loves. Grief, then, is the background music of Home Fire, as Shamsie stares unflinchingly at our future, the breaches in our common humanity, wounds that will never heal. Hers is a dark, unerring vision. We can expect more great work from this audaciously talented author.